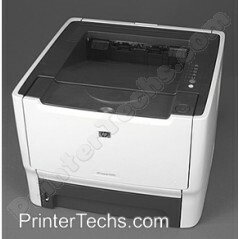 The P2015 series is a fairly recent printer design from HP; it is compact and boasted a fast output speed. However, the formatter board on this model is becoming notorious for repeated failures. Signs of the formatter board failing can include loss of network or USB connection, intermittent "freezing" of the entire machine, and a false paper jam error code. Because of these problems with the P2015 series printers, we have chosen not to sell or recommend this series. If you're considering replacing the P2015 model, we recommend the following series as replacements : the LaserJet 1320 series, and the LaserJet 2420/2430 series. The P2015 series is a fairly recent printer design from HP; it is compact and boasted a fast output speed. However, the formatter board on this model is becoming notorious for repeated failures. Signs of the formatter board failing can include loss of network connection, intermittent "freezing" of the entire machine, and a false paper jam error code. Because of these problems with the P2015 series printers, we have chosen not to sell or recommend this series. If you're considering replacing the P2015 model, we recommend the following series as replacements : the LaserJet 1320 series, and the LaserJet 2420/2430 series.